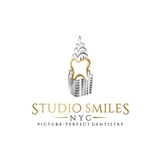 Studio Smiles NYC (New York) - Book Appointment Online! We are committed to staying on the leading edge of dental technology with the best treatment and state-of-the-art equipment. From the time you step into our modern office, you will experience the courtesy and professionalism that we are known for. All aspects of your proposed treatment will be explained to you including financial responsibilities, and insurance coverage. You will have ample opportunity to ask questions and make decisions prior to beginning treatment without feeling rushed or pressured. Come check us out on instagram @studiosmilesnyc! We look forward to meeting you!! I hadn’t been to a dentist in a long time but was in good hands with Dr. Nguyen and her staff. They performed a very thorough dental cleaning and I left feeling a lot better. Only thing I didn’t quite understand was why the dental cleaning was divided into half sessions on two separate days. All in all, I’m better informed about the health of my teeth/gums and have them to thank for that.